My last Smorgasburg post for the week, I promise. But I had to end with this. Luxury mayo, really? 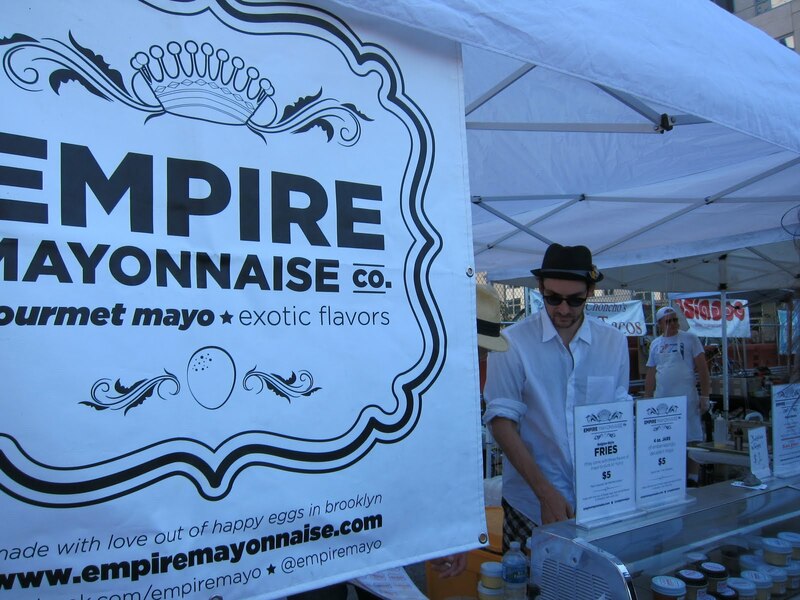 Yes, that is what Empire Mayonnaise says on their site. I’m all for artisinal, gourmet, small batch. But maybe it’s gone too far. Made with local eggs. Crazy flavors like Thai Chili and Lime Pickle. And sweet flavors, too. So maybe it does go well in egg salad. But I’m going to put my foot down on this one. I still really like Miracle Whip. It just makes me laugh. And then think….what else can I turn into an artisinal product?